Pet Magazine » When Should I Take My Puppy To The Veterinarian Office? Just like humans, dogs can be susceptible to a number of tooth and gum-related diseases. Your average veterinarian will likely emphasize the importance of routine brushing to dislodge stuck food and discourage plaque build-up. Despite this, a mere 60% to 65% of pet owners will not brush their pet’s teeth. It’s important to remember you can do the majority of cleaning through just brushing with a firm bristle brush. Flossing isn’t usually necessary and is generally reserved for more sensitive cases. By the time they’re three years old, the majority of dogs and cats have periodontal disease. The United States is home to millions of stray cats and dogs. It’s important to get your dog spayed or neutered to reduce strain on your local shelters and ensure more pets are able to have a loving home. A fertile dog can have up to two litters per year. According to studies provided by the American Pet Products Association, over 85% of pet dogs (as well as 90% of pet cats) were either spayed or neutered the prior year. As of now spaying and neutering is the only 100% effective tool to prevent unwanted litters in dogs and cats. Even pets as young as five months old can become pregnant. Your dog may be tempted to eat whatever is offered to them. You need to be ever vigilant of food that is incompatible with your dog’s stomach to make sure they don’t have a reaction that sends them to the veterinarian office. Over 60% of dog food allergies have been linked to beef, dairy and wheat, some of which can be found in certain brands. Keep a close list on hand of food that is incompatible with a dog digestive’s system to keep their health at the forefront. This includes avocados, macadamia nuts and brittle chicken bones (the latter of which can get stuck in their throat). Dogs and cats can come down with illnesses like the rest of us. Common symptoms of a pet feeling unwell include unusual lethargy, a dry nose, vomiting, rejecting meals and hiding (such as under a bed or a couch). Bloating is a common side-effect of many purebred dogs and is often caused by overeating. This condition can seem mild, but it’s actually deadly when left unchecked and should be taken seriously at the first few warning signs. Cats, in particular, need to have their upset stomach watched closely. Throwing up once in a while is normal (especially if they are prone to wolfing down their meals), but too frequently could be a sign of an intestinal problem. Your dog needs to become familiar with the veterinarian office if they’re to lead a long and happy life. A puppy that’s reached six weeks old needs to be taken to the vet to receive their basic vaccinations (some of which need repeat visits). These include warding off rabies, distemper and heartworm. Older dogs may need to visit the office more often to discourage the onset of periodontal disease and lower back pain. 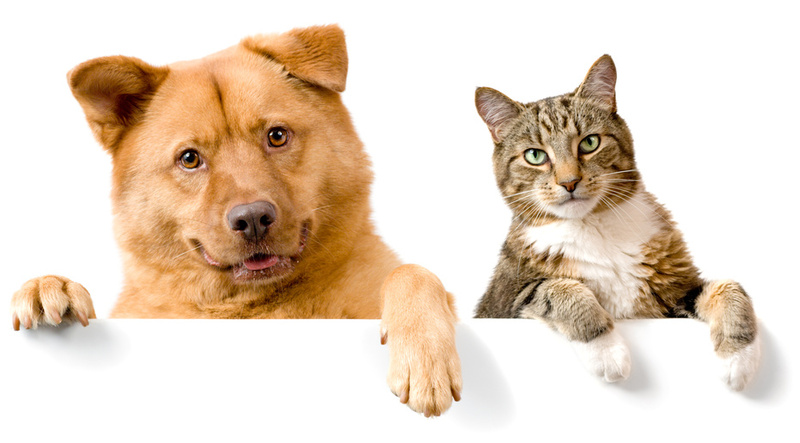 Pet insurance plans are available to keep your vaccinations, immunizations and check-ups organized under one cost. Whether it’s specialty dog clinics or a local veterinarian office, the ability to raise a happy and healthy dog has never been easier.